Apparently some human horrors continue despite universal outrage. Japan has launched its seasonal Pacific whale hunt off Hokkaido Island unopposed by sending the first fleet of ships to sea with plans to kill 51 minke whales for what it describes as “research” purposes in this initial hunting. 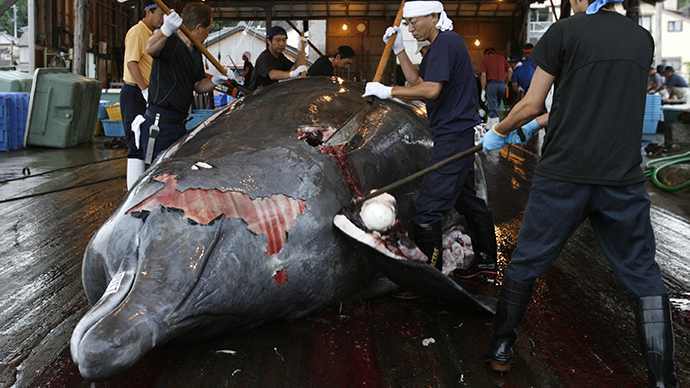 Earlier this year, the International Court banned Japan’s Antarctic whale hunt, deeming it unscientific. Western countries throw out nearly half their food because it’s not appealing. Tristram Stuart reveals shocking data of food waste, calling for a more responsible use of global resources. Abby Martin ‘Breaking The Set’ on US food waste.